Mice look pretty cute in movies, right? On the big screen, they have adorable beady eyes, cute whiskers, and big silly ears that make them seem harmless and innocent. The truth is, there are many misconceptions about house mice thanks to Disney movies like Cinderella, The Rescuers, and, of course, Stuart Little. 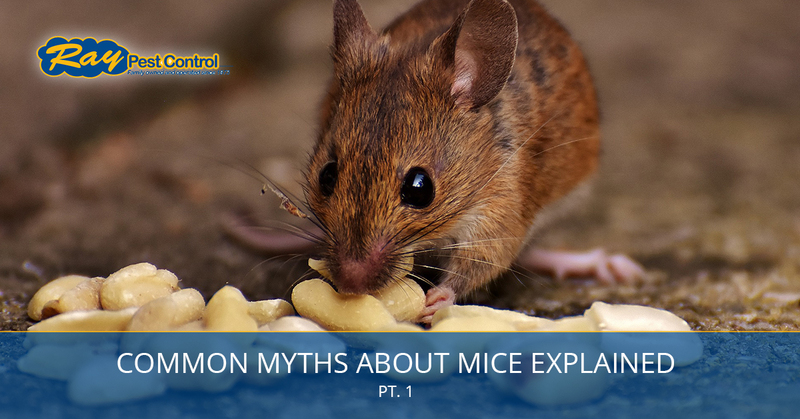 In part one of our two-part series, we’d like to clear up some of these common, often humorous myths about mice, so that you can better protect your home from these invaders. Of course, you can always rely on Piedmont’s Top Rated Local® pest control company to handle any mouse problem you have in your home. Please continue reading below. False. Mice are omnivorous critters, meaning they will eat foods that are made of plant and animal origins. To put it plainly, they will eat whatever they can get their tiny claws on. While the common house mouse would probably never pass up that nice hunk of cheese you dropped on the floor during your dinner party last weekend, they don’t limit their diets to only cheese. Cheese, however, does make great bait for a mousetrap, and will probably attract the rodent to get the job done. False. Mice, like other vertebrate mammals, have a musculoskeletal system made up of bones, muscles, joints, and other tissue. Many often assume that because these “escape artists,” as they are often referred to, can squeeze their little bodies into the tiniest of holes and spaces, that their bones are either made from some rubbery tissue or that their bones are hollow. But in fact, the reason why they are able to fit into spaces smaller than the size of a dime is that they lack collarbones. These are just a few of the common mouse myths, so join us next time as we continue debunking myths about house mice. If you have a mice or rodent problem, contact Ray Pest Control today and we’ll eliminate your rodent issue quickly and efficiently.